Weddings favors can not only add a personal touch to your wedding day, it can also be a small way to say "Thank you" to you guests. Food is always a favorite wedding favor idea. Today I wanted to share an up and coming company called Bliss! Hawai`i Cake Pops &Truffles. What is a cake pop? 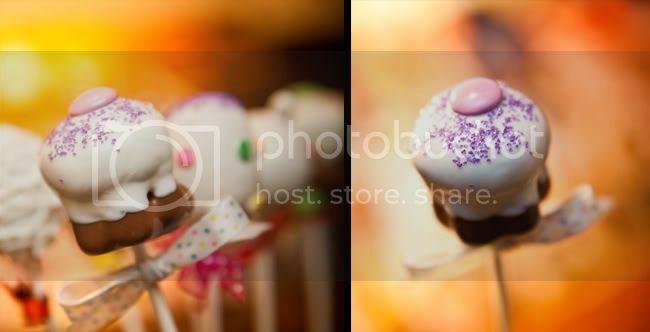 It's a bite sized cake on a stick dipped in chocolate or colored candy coating decorated with your choice of sprinkles or drizzles. They currently offer 8 cake flavors and owner, Erli Dagurao, personally makes each cake pop order. She encourages customers to customize their order by using different colors, shapes and ribbons. With prices starting at $2 per cake pop, you can't resist to share these with your guests!! Mahalo to Eddy Fong of Renai Photography for these wonderful pictures.